Each tool in the Tools toolbar has a set of properties that you can customize according to the task you are performing. Some tools, such as the Brush tool, can be customized and saved as a preset. 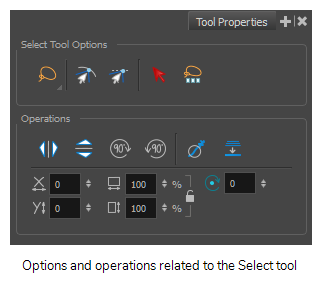 When you select a tool from the Tools toolbar, the Tool Properties view updates to display its properties.